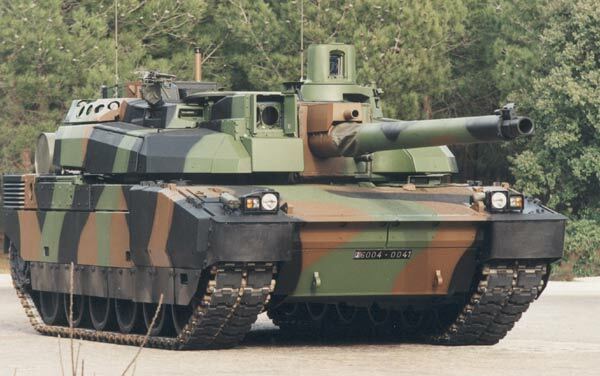 Tank types produced GIAT Industries Leclerc in France. First prototype was made in 1989. Apart from France, Saudi Arabia also has hundreds of these tanks. The maximum speed of 72 km / h.
Protective layer consisting of steel, ceramic and Kevlar. One advantage easily fixed if exposed to fire. He weighs 56 tons and 3 crew operated. Each served as a commander, gunner and driver. For weapons, Leclerc reinforced 120 mm cannon and machine gun 12.7 mm caliber or 7.62-mm.